One of the highlights of my week was a trip down to the Tate Gallery to see their Salt and Silver photography exhibition. For anyone with an interest in social history or the history of early photography this one is a must-see. Many of the subjects from over a century and a half ago struck me as surprisingly modern. There was much in their body language and in the attitude of their poses that could have belonged to the Facebook generation. If you'd like to know more you can read about the exhibition here: Salt and Silver Exhibition. Last Saturday was the most glorious day. The sun shone, the sky was blue and the mercury pushed its way up to a dizzy high of 16º C. Mr B had, several weeks' earlier, promised to help me with a post-winter tidy-up outside. He'd entered the date in his calendar as the day he would devote to the garden. And boy did I get lucky with the weather! Normally Mr B agrees totally with James Dent: A perfect summer day is when the sun is shining, the breeze is blowing, the birds are singing, and the lawn mower is broken. Impressive, huh? Well, then of course we had to spend a day and a night clearing up, but that's another story. 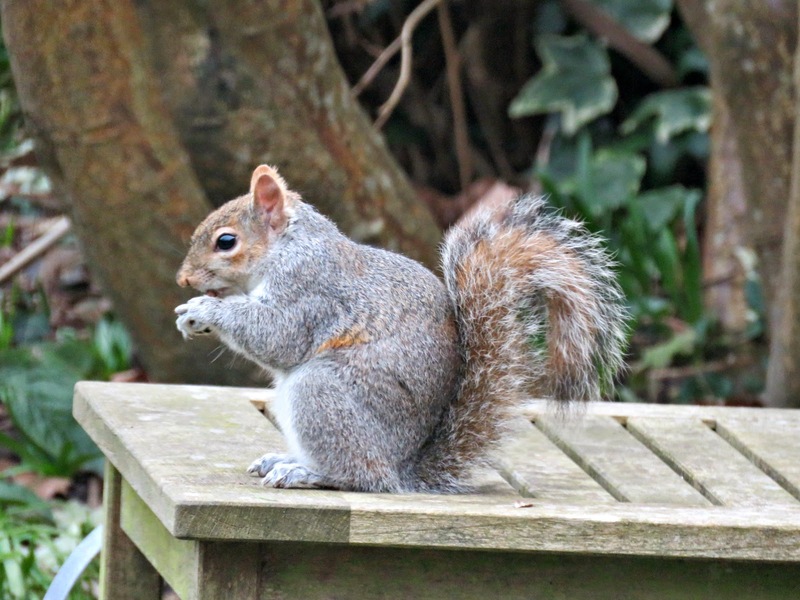 Just when I thought he'd snuffed it the Slinkster re-appeared for an early-morning raid on the peanuts. I will admit to a certain grudging affection for Slinky, and I'm fine with him eating SOME of the bird food. I only get hot under the collar when he scampers with the whole caboodle. The Wonder Dog and I have spent much of the past week hard at work in the garden. And we've been gloriously happy digging around in the dirt together, and anticipating the full glory of the spring and summer that are to come. What's she doing leaving all these things buried out here? She'll be really happy when I bring them all safely inside again. 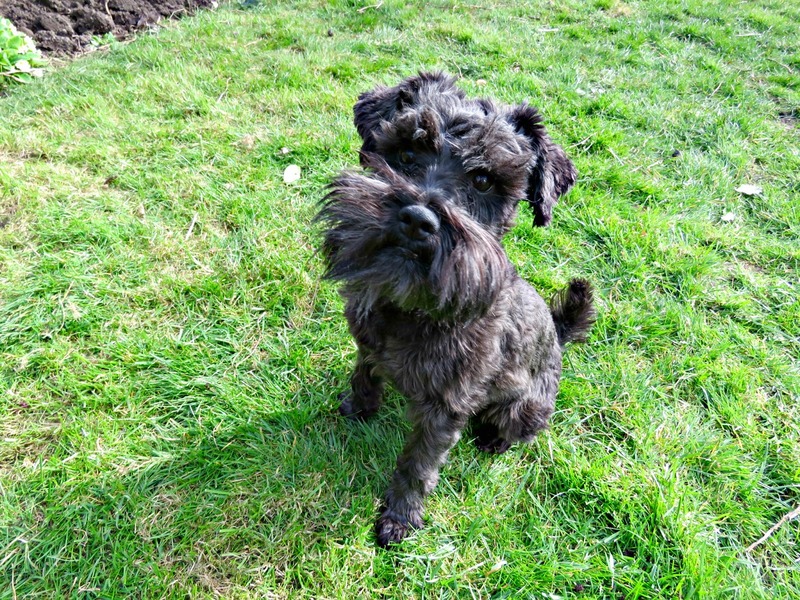 I've been busy planting bedding plants and summer bulbs, which has given rise to a wonderful new game of fetch. 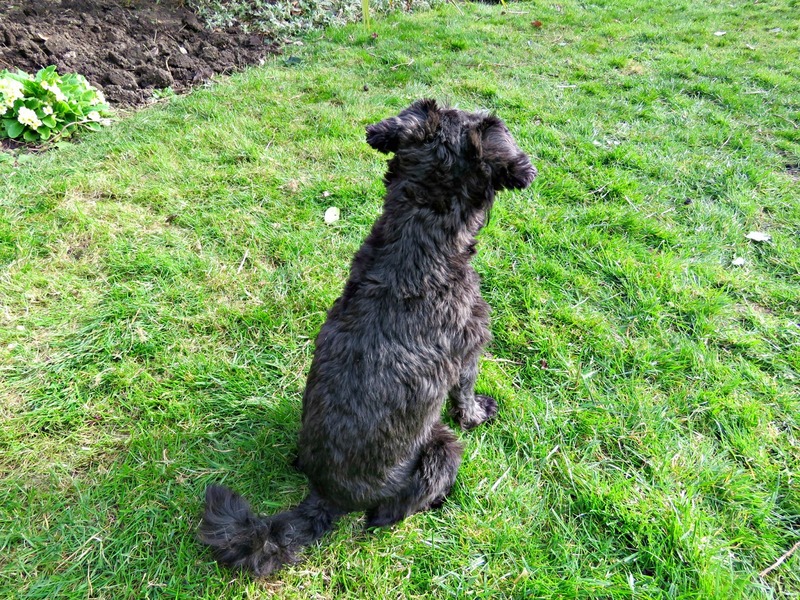 The Wonder Dog seemed to be of the opinion that I was getting terribly absent-minded in my dotage, and, no doubt intent on being helpful spent his energy digging up all those things that I'd forgotten about and left buried in the flowerbeds. Needless to say I was less than totally delighted with this assistance, but it's hard to stay cross for long with someone who's as cute as the Wonder Dog. Well if these bulb things are so special why d'ya bury them in the dirt, huh? A few years' ago I bought some heritage violets. The sale's pitch promised that they were of the self-same strain that Victorian flower sellers used to peddle in Covent Garden. It promised me the smell of sweet nostalgia and oodles of Olde Worlde charm. I wasn't totally convinced, but the lure of a good story, and the fragrant dream of what a bank of sweet-smelling violets would be like in my garden induced me to throw my scepticism to the wind. And I'm so glad that I did. I really have no idea if they are in any way related to the flowers of yesteryear, but they look like they could be, which is plenty good enough for me. They have wonderful long stems, which makes it easy to gather them into a posy, and they have the sweetest smell. You have to bury your nose in them to capture it properly, but they smell like those parma violet sweets that we used to have when I was a girl. The flowers are so very delicate-looking, but the plants are really robust. I've successfully divided my original plant three or four times, and got them to root in other locations around the garden. They don't seem to mind being in the shade, and they add a lovely interest to difficult shady corners where I've struggled to get anything else to grow. And that's my random 5 for this week. Gosh you have been busy. Very impressed with Mr. B and I am so enjoying seeing your flowers and green grass. Busy girl! I giggled at the return of the that scampy squirrel. Love the violets. Wonder Dog was just helping. Ha! If only we could teach them to dig the hole for us and then we do the planting. I bet the photography exhibit was wonderful. Happy Friday! I can't wait to get out in the garden, but everything is still under a foot or two of snow! The violets are so pretty, and Wonder Dog is adorable! That's so nice that you could work in the garden and be outside. In Waterloo it's still too cold do anything outside, although the sun is shining ! My you all have been busy with yard work. It's looking good. 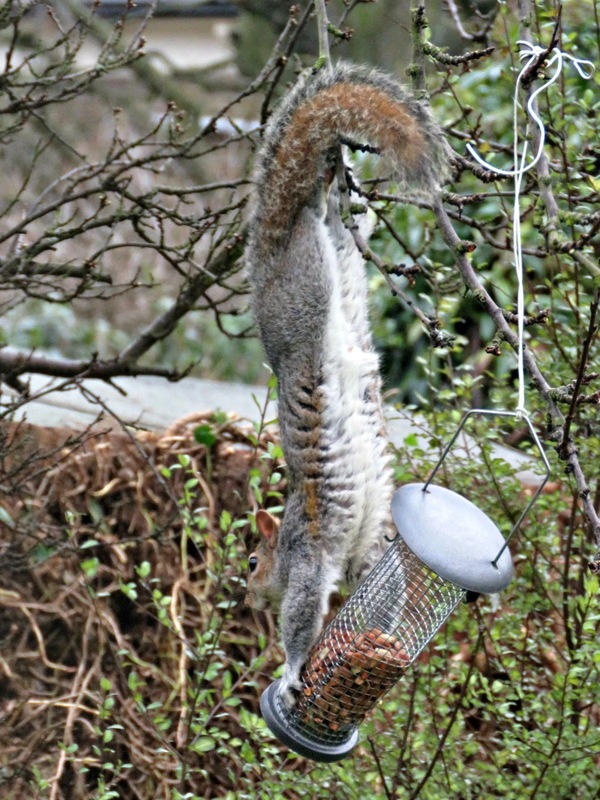 I'm so glad that Slinky the Squirrel is still around. Wonder dog is so cute and he looks so innocent in that 2nd shot. How could you be mad at that face. Oh those Violets are wonderful. I love the smell of violets. They bring back memories of gathering little bouquets to give my mom as a child. On occasion I still do that and she loves it. 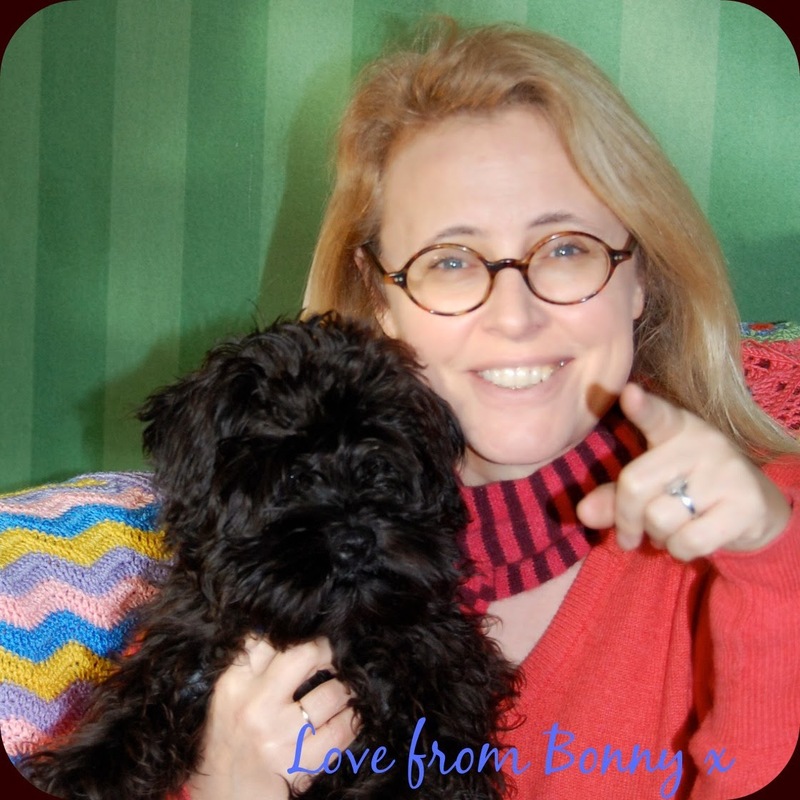 Bonny, I find myself talking back to your post today, as though we were in conversation. My son thinks I am a least a little crazy and wants to know what I find so funny. I'm trying to explain your dog's new game of digging up your flower bulbs! Truly, when you break your life down into 5 random things on a Friday, it's easy to see that you are blessed. And that makes it easier for me to see that my life is full of blessings, too. Wish I could see the photography exhibit you mention . . . We have this Sunday on our calender marked for garden work, and I hope mine looks nearly as lovely as yours! You and Mr. B have worked hard - now it's time to relax. And the tale of Slinky Paws continues . . . can't wait for the next installment. Really, are you sure you wouldn't like to try your hand at writing children's books? Seems this is a story waiting to be told! I really like your salt and silver photo... and you have been a very busy girl. Your garden does look good and Wonder Dog is so cute. The violets are wonderful but I don't see much of those here, as it is probably too hot for them. Lilacs, crocuses, daffodils I don't see much of as it is too hot here for them I think. Violets are so old fashioned and lovely! And yours have such wonderful long stems! Beautiful! Love Wonder Dog--he is too cute! 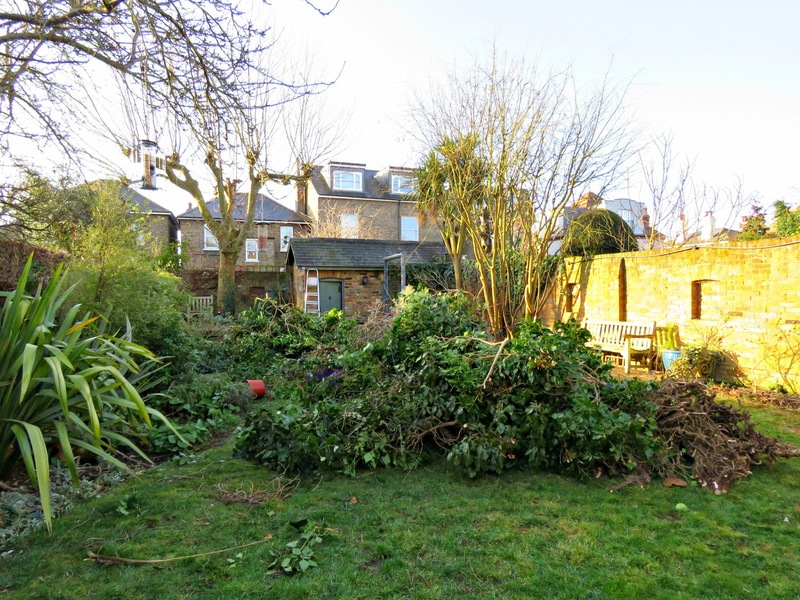 And how great to get the garden spot cleared up from the overgrown ivy! You are ready for spring! The best of these is Wonder Dog's help! That is just too funny. And no, can't stay mad at them when they are only trying to help. So nice of Wonder dog to lend you hand with your finds this week. 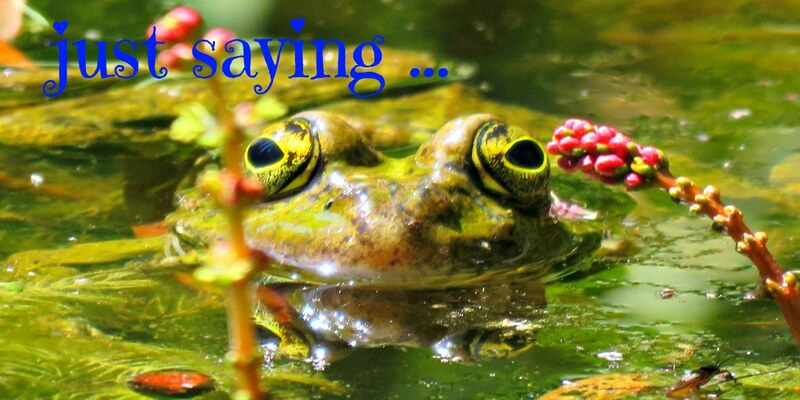 Enjoyed seeing the violets and green of your garden. What a fun five! The look the mom is giving the son in the antique photo tells me he might have been something of scamp. Good work on the garden - now can you help me when my snow is finally melted? Sounds like you have been busy! I love how your Wonder Dog is being so helpful, haha. Sweet!